Manufactured by Kingman, Spyder paintball brands are not only a popular choice among players but also the kind of markers that has been behind the scenes for decades. What makes them stands out is that they are affordable and very easy to use. You can also easily customize them and set them up exactly the way you want them to be. Whether you are a beginner or pro, they are some of the best guns that will never fail you. More so, each one of them has distinct feature hence you can choose one based on your preferences. 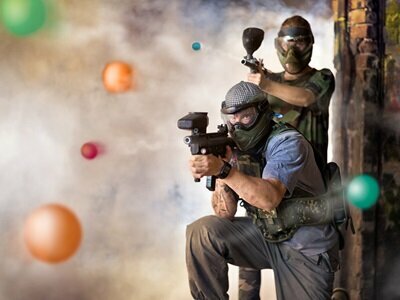 Below you can take a look at some of the best Spyder paintball guns available. Pricing table with an Table ID of "1spyder" is not defined. 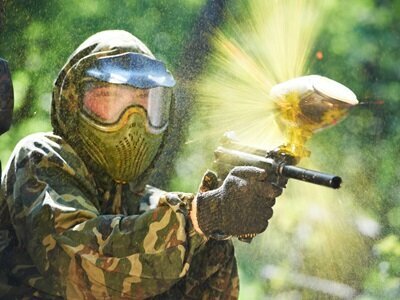 In the world of paintball, Spyder is a well-known marker. While you are trying to select the perfect match for your needs, if you are a beginner, having Spyder MR100 Pro will provide you with everything that you need. Taking the shape of military-style gun, this amazing gun will provide you with the precision and accuracy that you need. Its EKO valve will also offer at least1600 shots per every 20oz of carbon dioxide. More so, they are durable and made of high-quality materials. Although you will find them very light, the manufacturers have not compromised on the quality. Finally, they are perfect for beginners and pros since they are very easy to use. One of the most amazing things about Spyder markers is that they have a low-cost replacement and upgrading. The Spyder MR6 features a dual loading system and a lower mag-feed system. This innovative loading system has a unique patent design that allows the user to change the loading system with just a quick turn of the barrel. It has also proven that the Tippmannmanufacturerdoes not have a monopoly of guns. Therefore this unit is a very good alternative to the popular Cronusfrom Tippmann. Since it comes with almost similar designs and features. To improve its accuracy, it has sturdier stock and longer barrel. 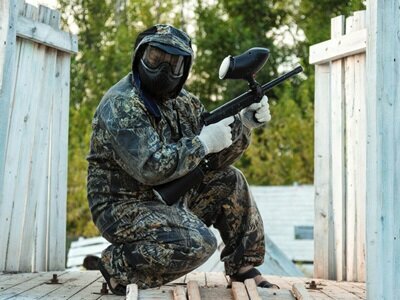 Due to their extreme durability, it already falls among high standard paintball markers in the market. Other features that set it apart are air efficient valves for better shooting and high impact grip to hold them under any extreme conditions. One of the reasons why this gun is very popular is because it has some of the best features. 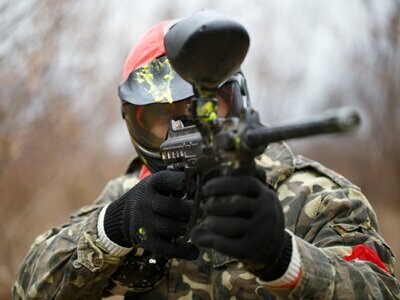 As compared to other brands, it’s 10% shorter and 15% lighter thereby a fresh looking and top-notch paintball marker. To eliminate the need for having tools when executing essential maintenance, it comes with a tool-free striker plug. 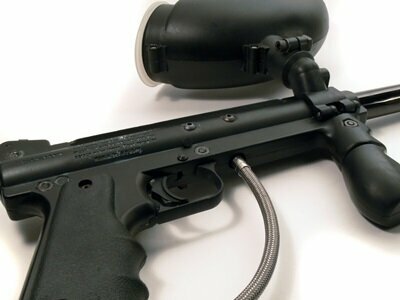 Although it is a very simple paintball gun, it’s very reliable. This makes it easy to handle and provides it with a faster shooting. Although it’s a budget-friendly marker, it’s the best way to start your paintballing game as a beginner with a high-quality unit. One thing that you will love about it is that it comes with almost everything that you need. Overall, it’s an awesome gun to use for entry-level paintball players. 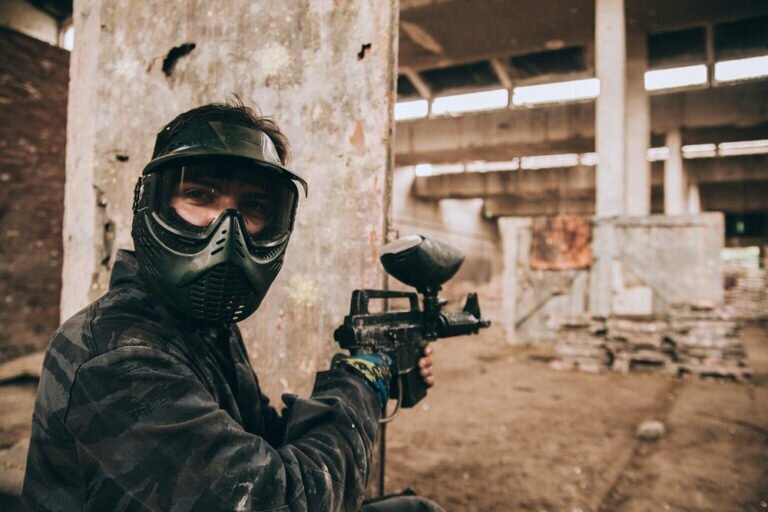 As the upgraded version of the Kingman’s classic, the Kingman Empire SpyderXtra is among the best guns in the entry level paintball markers. With just a few upgrades, it’s a very simple blow back gun. Although it’s not meant to compete with the high-end guns, its performance is excellent and of extreme quality. For instance, it will be able to fire as long as you hold the trigger. When it comes to its reliability and maintenance, there is nothing wrong since it can last for several years. You only need to take good care of it and regularly oil it. More so, in case of a leak, you need to replace the o- ring. More so, you can easily upgrade it the way you want. With a wide of paintball guns in the market, Spyder brand actually offers something that admires every paintball player. If you purchase these guns, you can expect to enjoy good performance and several other upgrade options to suit you. More so, all these guns are reliable and well made. Therefore, you can rest assured that your marker will last you for many years to come. 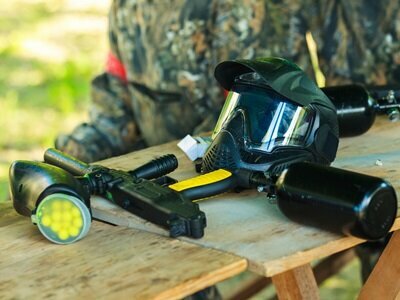 All the markers above have been receiving excellent reviews and current users are extremely happy with its performance and accuracy.Overall, if you decide to go for a Spyder paintball marker, you will enjoy the game and you will be able to customize and design your own paintball gun just the way you like it.